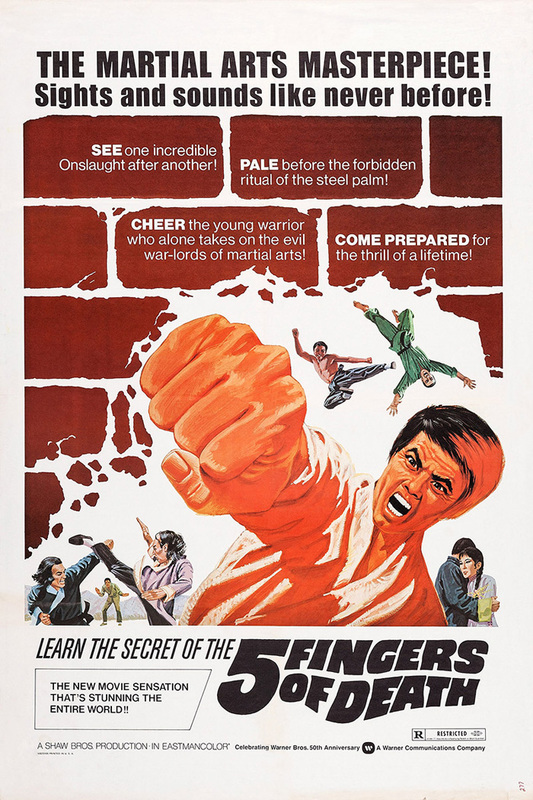 Five Fingers of Death (1972, HK) is a Martial Arts film directed by Cheng Chang Ho. The New Movie Sensation That's Storming the Entire World! | The Martial Arts Masterpiece! Sights and Sounds Like Never Before | The first international martial arts movie sensation | Come prepared for the thrill of a lifetime! This page was last modified on 20 August 2018, at 18:21.